The mobile game controller lets you more comfortably play your favorite PUBG, Fortnite and more mobile games, and it doubles as a portable power bank to charge your phone. Like the idea? Let’s keep checking. 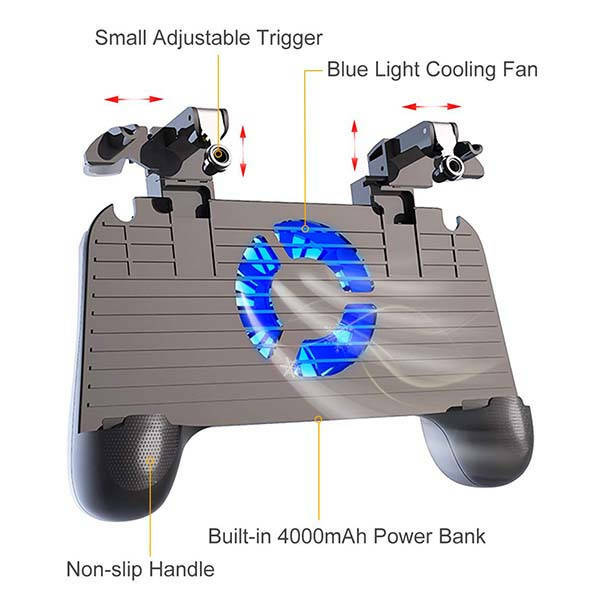 This is a well-designed, multi-functional mobile gamepad that’s compatible with 4-6.5 inch smartphones like iPhone XS/XS Max/XR, Galaxy S9, Nexus 6P and more. As shown in the images, the gamepad is designed based on regular game controller. With ergonomic, non-slip handles, the gamepad delivers a comfortable and firm grip for any mobile gaming session. 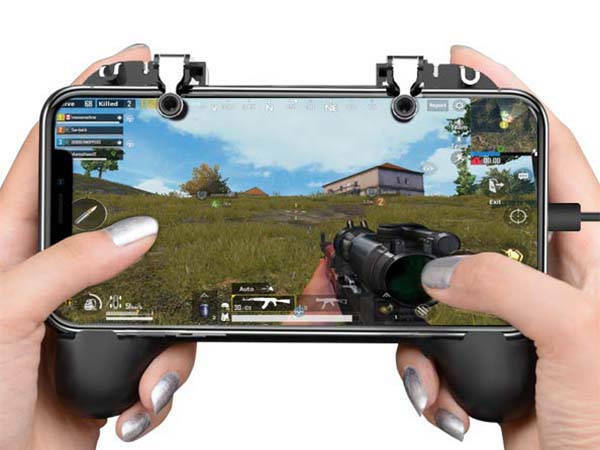 The mobile gaming controller comes equipped with two adjustable triggers so that you can easily trigger in-game skills and actions without worrying about your fingers blocking the screen. Furthermore, it features an integrated cooling fan that prevents your phone from performance reduction caused by overheating during gaming. Moreover, the game controller doubles as a portable power bank to charge your phone with 4000mAh battery capacity. The mobile game controller is priced at $31.99 USD. If you’re interested, jump to the product page for its more details.